About 20 years ago I became a sponsor for the first time to Edgar in Guatemala. Through work related travel in 1998 I was able to meet Edgar, visit his home. I met his mother & siblings. Edgar has since grown and graduated from the program. Now we sponsor a few more children and lately I’ve been giving a lot of thought to why do I sponsor. Poverty is the lack of enough. Hunger, lack of shelter and medical care leads to desperation, and desperate people do deplorable things, things like drug abuse, prostitution, child abuse, domestic abuse and even the selling of children. Children always pay the highest price for the brokenness in this world. Being healed and set free as I have been, I know that I cannot waste what I have gained through the healing and freedom given me. I believe a burden is lifted from the shoulders of fathers and mothers as my family sponsors children. By sponsoring these children, we offer them the tangible benefits of food, clothing, medical care and education. And we offer them the intangible benefits of knowledge of God & the gift of salvation He offers us through Jesus. We offer them hope, and the knowledge that each one of them is beautiful, precious and very loved. This trickles home to the parents, even flows like refreshing quiet waters to a family dry and aching from the dust bowl of poverty. 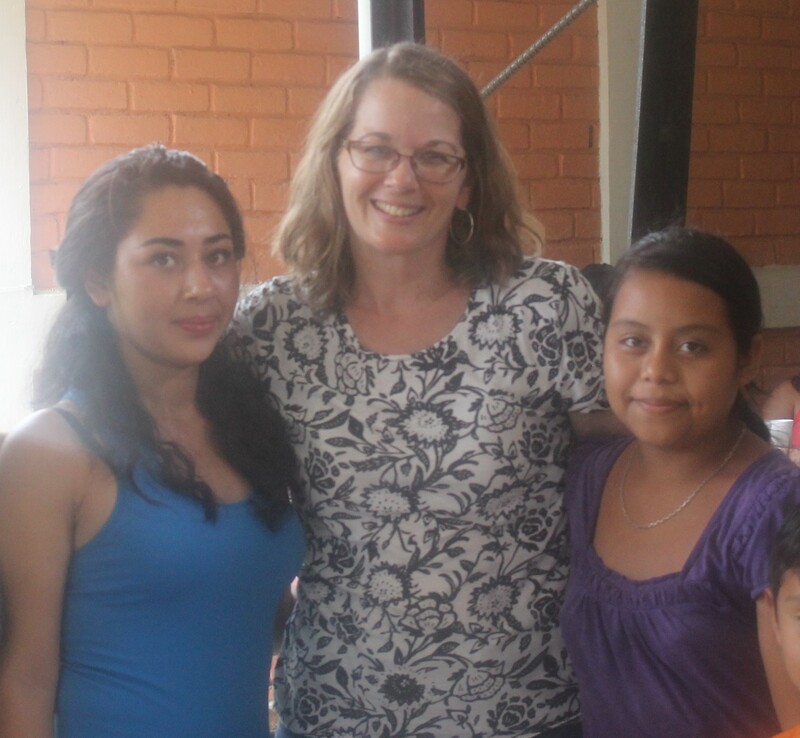 Johana, me and Kenia, during our Child Fun Day in El Salvador September 2015. So by sponsoring these children other burdens are lifted and further protections are ensured. By sponsoring a child, a father is helped with the weight of providing for all the needs of his family. Parents are mentored and encouraged to love their children, to treasure their children. During my recent trip to El Salvador I learned that families in one particular sponsorship program attend marriage conferences. Whole communities are able to see the value of the children and experience less of the dark effects of poverty. Poverty of the child, of the family and of the community is lessened as each child is sponsored, and raised with value, love, and enough. It is with the hope that each child is protected, educated and grows with a knowledge of his or her precious value that I sponsor children with my family. It is easier to build strong children than to repair broken adults. I have a hope that each child can grow with a whole, strong, unshattered heart. This is why I sponsor children and why I advocate for children. Will you join me? Click here and consider sponsoring a child today. Michelle, thank you for sharing. You have touched my heart and I am thankful for you and your willingness to open up so that others can learn from you. You are beautiful! Leslie, thank so for your kind words. To God be the glory, for great things He has done in me to be able to offer back, however feebly! Michelle, with all you have experienced in this life, you know first hand how important it is that every child know they are loved. I really do marvel at how God turns the things the enemy meant for harm and uses them for good. These children are SO blessed to have you as a sponsor!! Thank you for your comment Jacquie. God is good all the time. All the time God is good! I love this post!!!! It’s neat to hear when and how you began sponsoring.